If you own a large, multi-story house, you have probably always experienced problems with dropped or slow Wi-Fi connections in certain areas of the home. This probably left you scouring the market looking for a router that is capable of providing continuous strong signal strength. 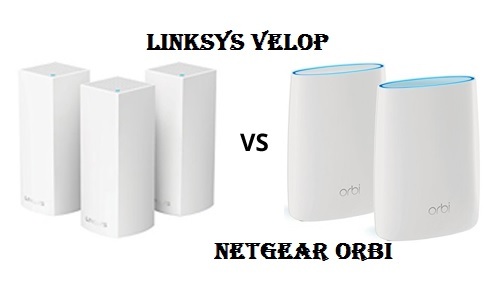 Well, since the Linksys Velop and The NETGEAR Orbi are two of the latest devices on the market promising excellent range there is a good chance that you are seeing a lot of hype surrounding both products. It is true that both Linksys and NETGEAR tackle this range problem head on is very specific approaches, but which would you trust more on your own personal network? It is safe to say that the battle between these two competitive manufactures has taken the wireless mesh Wi-Fi systems to new heights. To start off, Linksys approaches tackling range problems by adding an additional 5GHz band. This band really allows the router to balance any load on the network, while also being able to deal with the backhaul. NETGEAR, however, has really revolutionized the combination of router and extender. And, they have accomplished this by adding an additional radio that specifically addresses the backhaul issues. When you really think about it, this pretty much render the wireless extender obsolete and pointless. If you are constantly downloading, uploading, streaming, or gaming, you probably require a lot of speed at all times. Well, if speed if a major concern for your home network you might want to consider the Linksys Velop, as it is capable of providing users with 4400 Mbps. The NETGEAR Orbi only lags behind by 1400 Mbps, which means that its still capable of producing 3000 Mbps. 1400 Mbps might not sound like a lot to some individuals, but this really is quite a bit of speed when you depend on it. Another major difference the two is that the Linksys Velop on has 4 wired ports, whereas the NETGEAR Orbi has 7 wired ports. 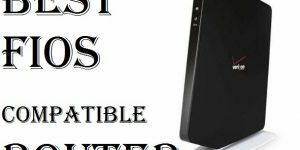 If you have a lot of devices that you run on DSL or cable rather than Wi-Fi, you might want to consider going with the NETGEAR, as if will be able to suit all your wired needs. Most consumers out there are probably wondering what exactly these two routers have in common. Well, you might be surprised to learn that the two have quite a bit in common, along with the latest wireless mesh systems. 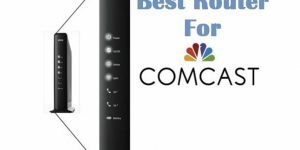 However, if you want to know which is best for your home network you really need to look at their similarities compared to their differences, which is what you will discover below. Just looking at the two routers side by side, you can easily tell that their final design has a lot in common. They are both encased in a beautifully white matte finished body, which prevents fingerprint smudges and dust buildup. In addition to this, the bodies of both routers are extremely lightweight and constructed of plastic, so they don’t take up a lot of foot space. However, due to the fact that both of these routers are lightweight and extremely tall, it would be best to avoid placing them in high foot traffic areas, because they could easily get knocked over. Along with this, you probably don’t want to place them on or near the edges of any table, because once again they could easily get knocked off. All routers have to be ventilated properly or they are just going to overheat after the first couple hours of use. It is safe to say that both Linksys and NETGEAR accomplished this in their design. However, their approach to this task is different, as you will quickly notice that the Velop has ventilation ports installed all over the body, even located on the sides and top of the router. The Orbi, however, approaches things a bit differently, as they have ventilation ports and a grill located on the bottom of their design. Throughout thorough testing it was proven that both systems proved extremely effective when it comes to providing the proper ventilation. Most people don’t think of LED lights as an important feature, but anyone that has ever had to troubleshoot their own network knows the significance of these handy little lights. The blue LED light can let you know that everything is activated and all is well. A purple LED light can tell you that the node is paired up and you are ready to start the setup process. Unfortunately, if you get a red LED light, this indicates nothing but bad news. A solid red LED light can tell you don’t presently have an Internet connection. However, a flashing red LED light will indicate that your connection to the main node has been lost. A yellow indicator light will let you know that you have a node that has been placed too far out of reach of the router. So, as you can see, these lights can save you from testing tons of different parameters on your network. You can literally go straight to the problem and test backwards from there to resolve your network issue. Both the Linksys and NETGEAR manufactures achieved what they needed when it comes to the LED aspects of their routers. If you have several devices on your network you are probably always constantly finding that your devices are in competition with each other for the highest bandwidth. Well, that won’t be a problem when you invest in the Linksys or the NETGEAR. And, this is all in part to the MU-MIMO technology installed in both routers. You can literally connect as many devices as you won’t and never worry about them vying for bandwidth. 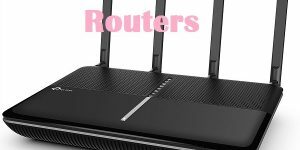 What Makes The Routers Different? When it comes to the Linksys Velop it doesn’t matter if you buy one unit, two units, or three units, the design is the same. 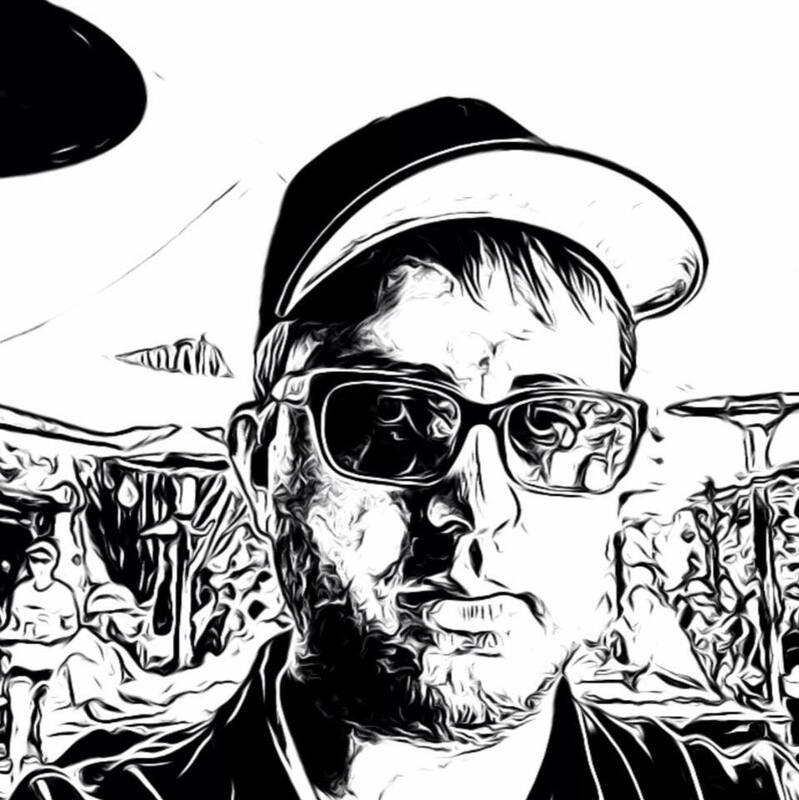 The mesh system will allow each node to act as a router or as a node. This pretty much just means that each node is going to communicate with other each to bring you the very best performance possible. The NETGEAR is a little different, as it combine a router and a satellite. The satellites only communicate with the main router and client. The do not communicate with each other, but this design can be just as effective in terms of performance. The NETGEAR Orbi WiFi System has definitely taken the world by storm, as it is designed to create a perfect home Wi-Fi network that offers continuous connections and fast speeds. While the Orbi does not work in a “mesh system,” it eliminates the need to purchase additional wireless extenders. The Orbi can be expanded upon once the router is installed into the home. Each satellite covers a large area, delivering 212Mbps at close range. Of course, the single will degrade the farther you move away from the satellite, but this is general with all mesh systems. Since the signal degradation is better than other mesh systems, the NETGEAR Orbi is a more affordable Wi-Fi system, as compared to other models. What this basically means is fewer satellites are needed to create a strong connection, with fast speeds throughout every home. Orbi is integrated with what is known as tri-band technology, which helps maintain continuous data flow, regardless of how many gadgets are connected to the network. This technology prevents loss of speed, related to the dedicated backhaul connection. The NETGEAR Orbi is extremely easy to install and setup in a residential setting. The free Orbi app will walk you through the process, so you will have the system up and running in less than 30 minutes. Just download the app to your laptop, tablet, mobile phone or desktop, follow the instructions and enjoy everything Orbi has to offer. The Orbi is embedded with features to create a secure and private home network. It also features separate access for guests and friends. Guest access can be created through the Orbi app, which will allow you to set a time schedule. You will continue to have full control over guest access, so you can enable and disable at will to eliminate security risks. The NETGEAR Orbi is designed to support Amazon Alexa, a cloud-based voice service. So, if you own the Amazon Echo and a variety of smart devices, you can activate them at will with voice commands. This capability will definitely make your life easier, since you will no longer need to utilize a remote or mobile phone to get information, weather or news. Just issue Alexa a command and she will do the rest. The NETGEAR Orbi WiFi System is ideal for single- and multi-story homes. The system is expandable to eliminate dead spots and slow speeds. The Orbi is very user-friendly, as it comes with its on mobile app. The system eliminates the need for wireless extenders, while maximizing your Wi-Fi speed. The tri-band wireless router and two satellites is guaranteed to cover up to 5,000-square-feet. And additional satellite will extend the coverage up to 7,000-square feet and two additional satellites will cover up to 10,000-square-feet of space. If you are unfamiliar with the Linksys brand, you have been missing out. This company designs and manufactures some of the best Wi-Fi mesh systems on the market. The Linksys Velop Tri-Band Mesh System is just one example. This system is designed to allow for expansions once the system is installed in your home. The great thing about this capability is you can choose from one unit or multiple units, depending on the size of your home. Linksys Velop is capable of delivering speeds up to 165Mbps. However, the speeds are only at close range, which is unlike the NETGEAROrbi. When nodes are placed throughout an area, the wireless performance is great. Currently, the Velop fails in comparison to Orbi, but hopefully it will catch up with future, frequent updates. With each update, Linksys is adding more and more features to its Velop. Today, it is embedded with a variety of features that are definitely worth mentioning. The Orbi and Velop are embedded with a variety of wonderful features and technologies. Both models have a minimalistic, attractive design that allows them to envelop into any home with ease. 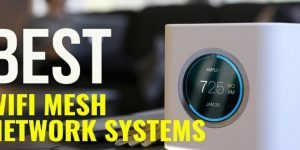 They both have strengths and weaknesses, but overall they are two of the best Wi-Fi mesh systems on the market. When it comes to coverage, the Velop has the Orbi beat. In fact, the Velop and three additional units cover a larger area than the two Orbi satellites. However, Orbi’s wireless performance is far more superior to the Velop, with multiple Ethernet ports and other features. Dead spots for both models can be eliminated with additional units and satellites. Of course, this will increase the overall cost, so if you have a large multi-story home, you will probably not find either model budget-friendly.